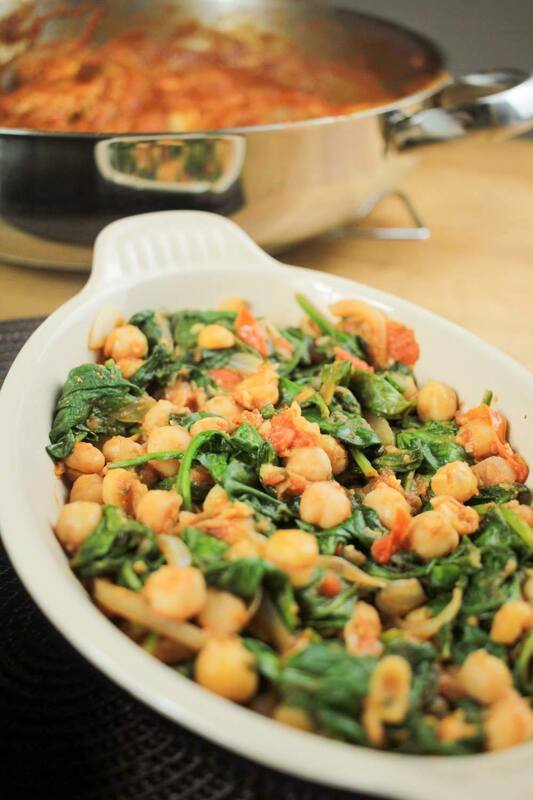 Try replacing rice with this spicy chickpea side dish as it's low in carbs and packed full of flavour! Fry the onions in a bit of oil in a saucepan until soft. Add the tomatoes and tomato puree and give it a good stir. Add the chickpeas and stir. Then add all the spices and stir it in so the chickpeas are coated. Add the fresh coriander and splash of water and give it a good stir. Add the spinach and cook for about 3-4 minutes until the spinach is cooked. Serve with your favourite curry! Enjoy!